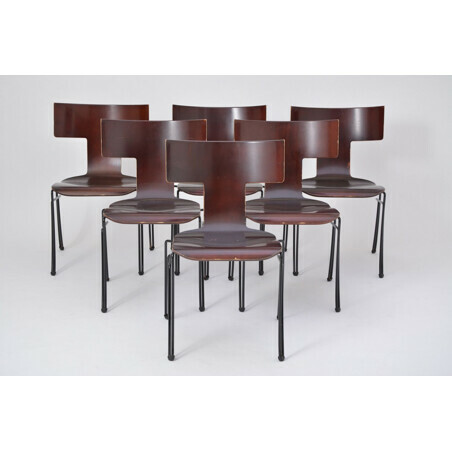 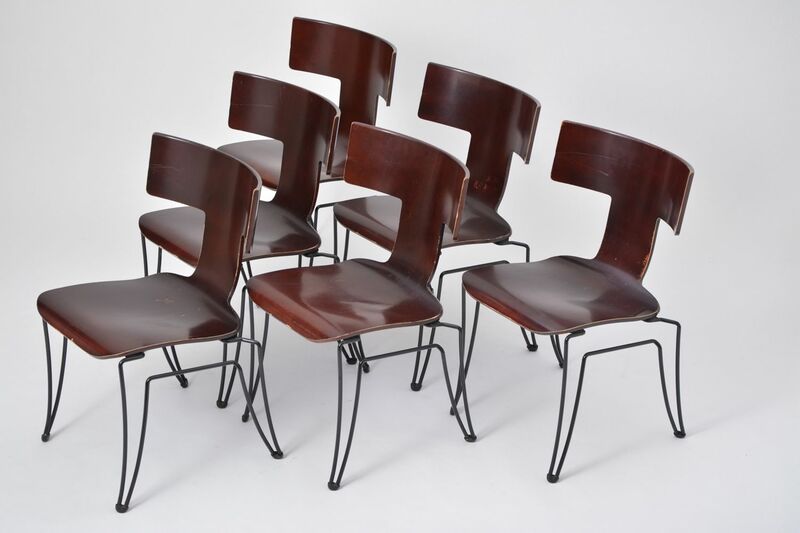 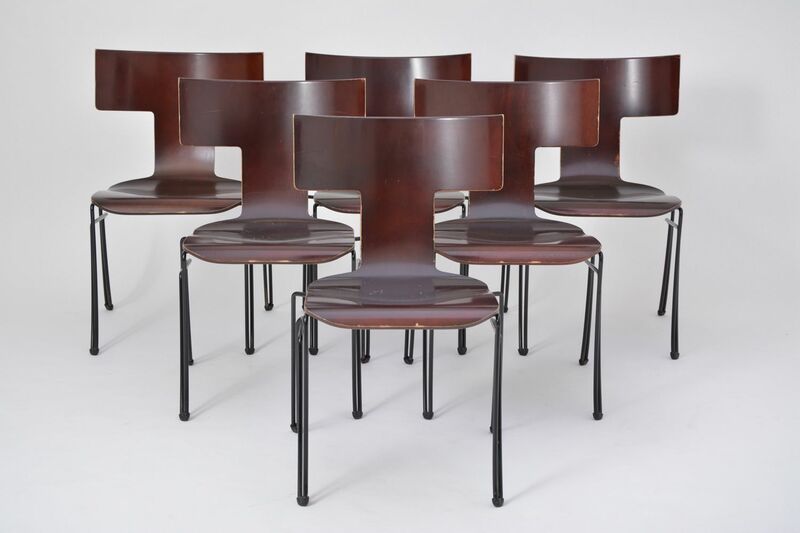 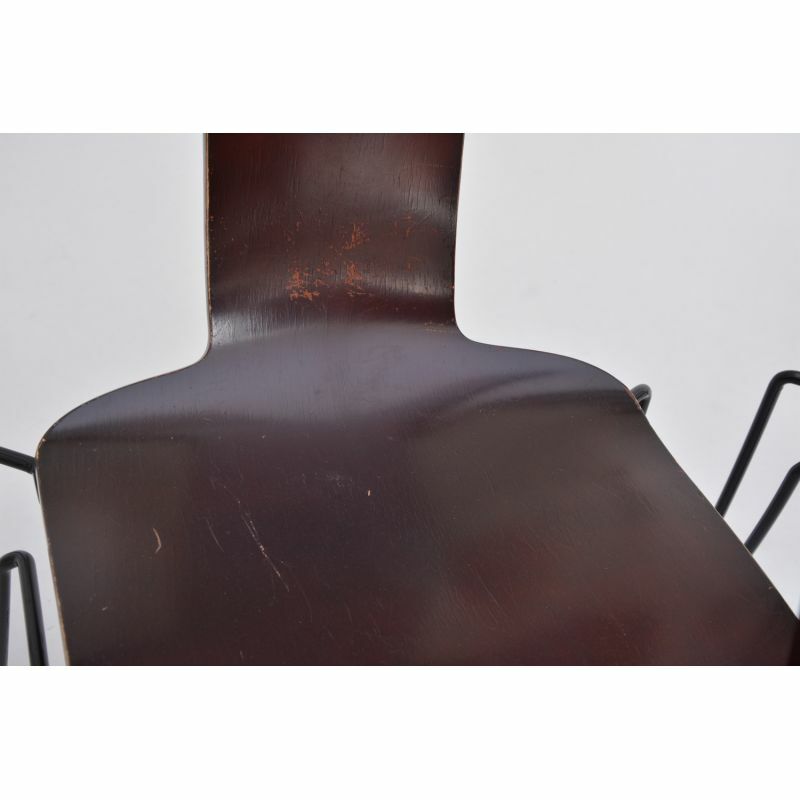 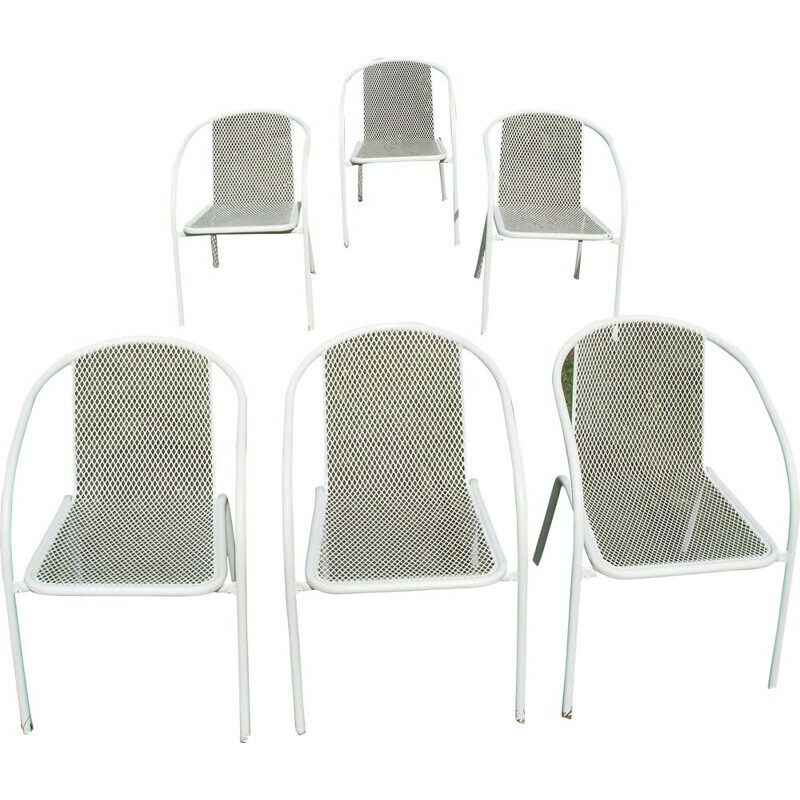 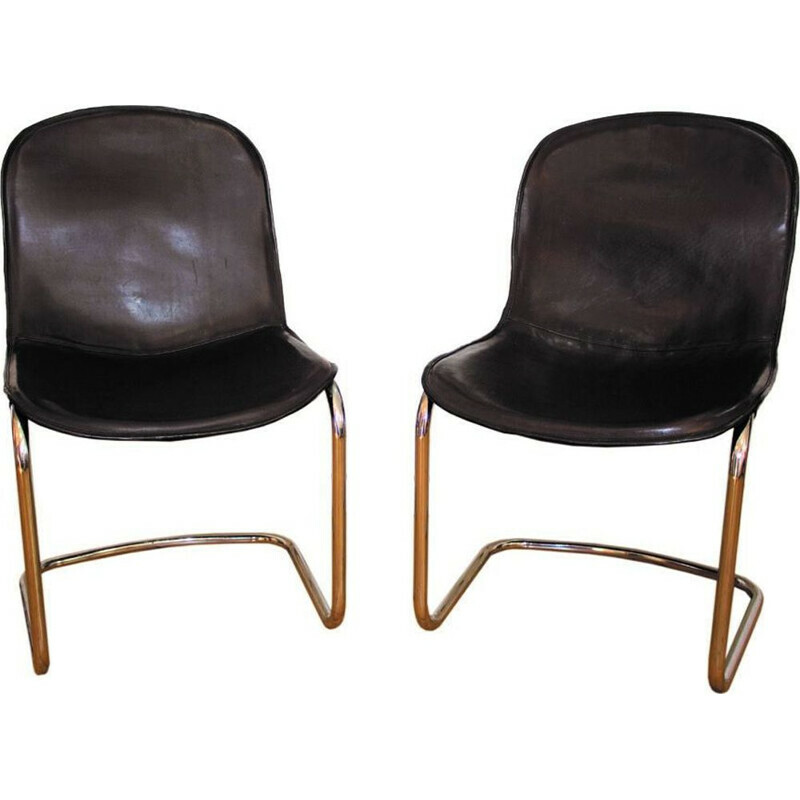 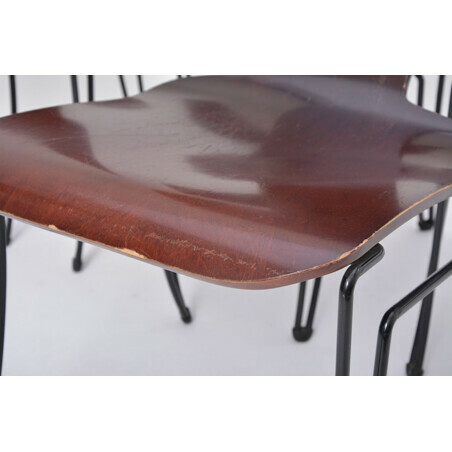 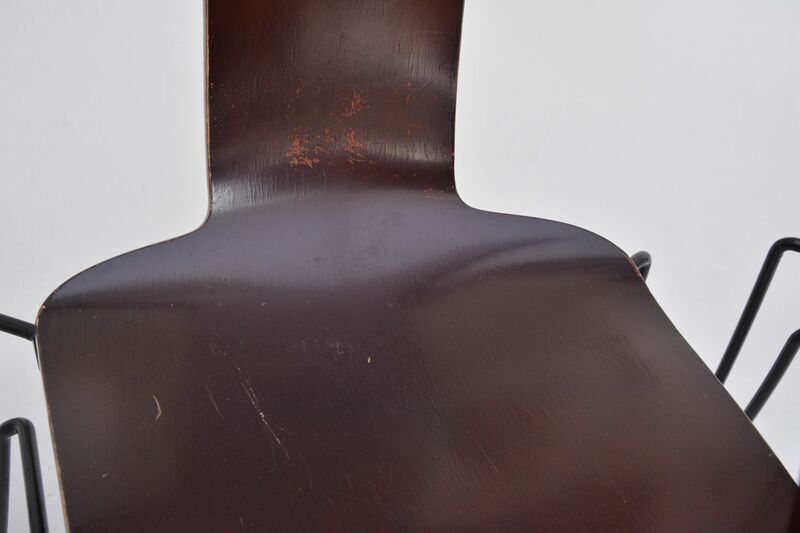 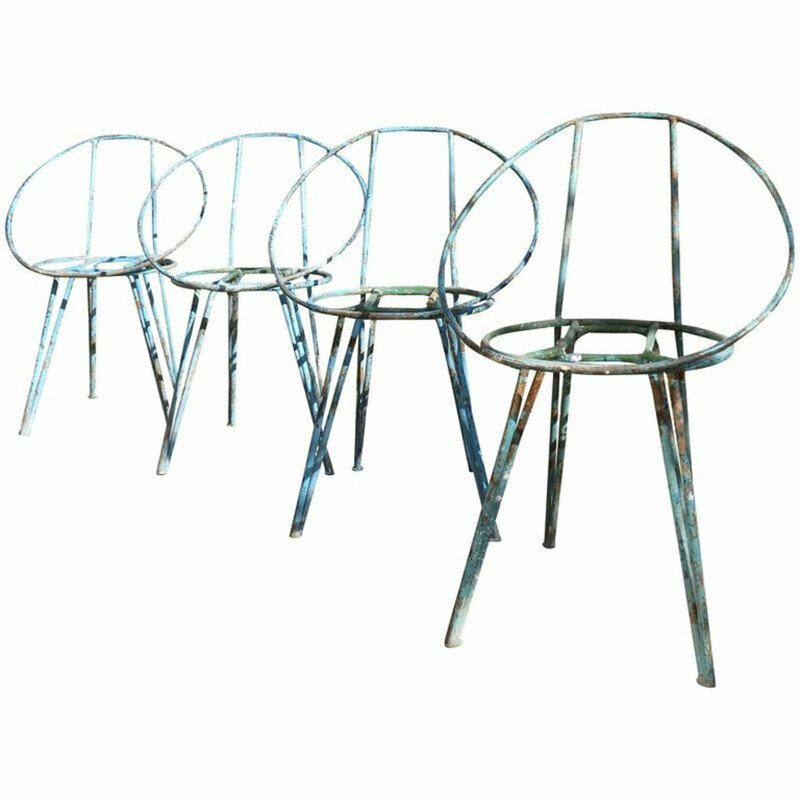 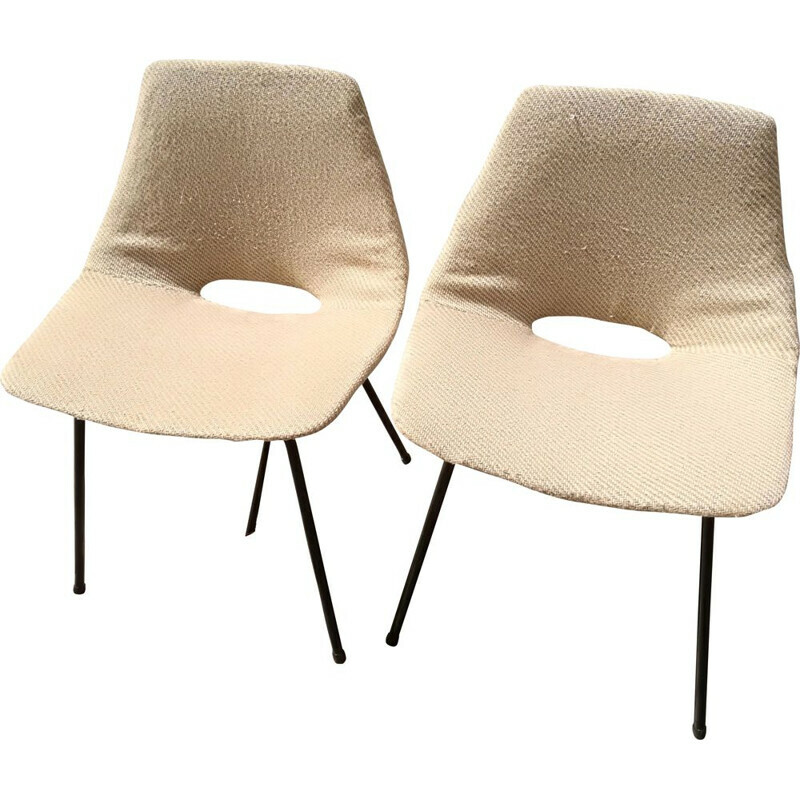 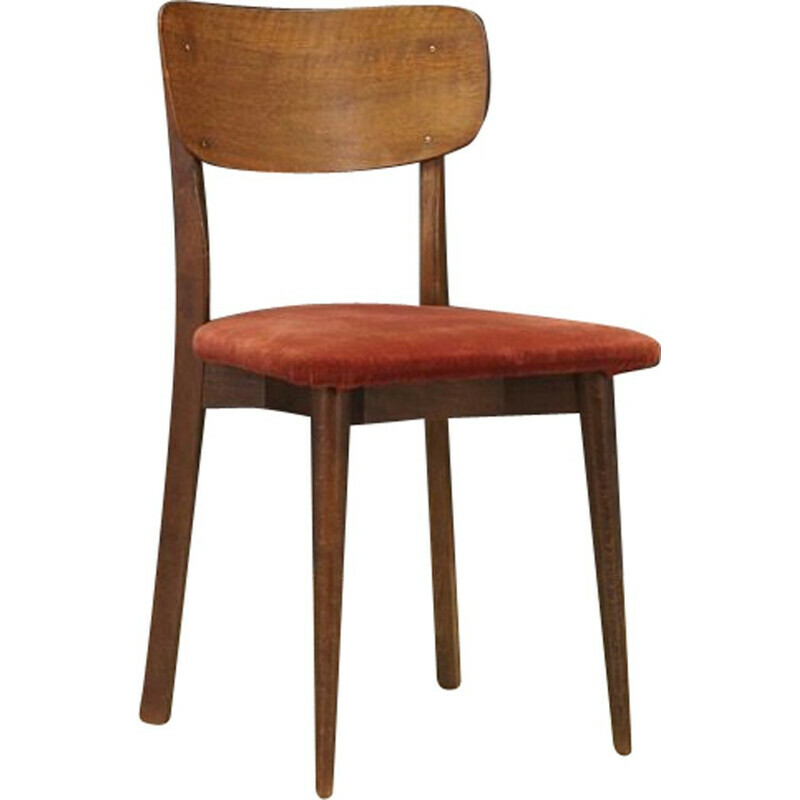 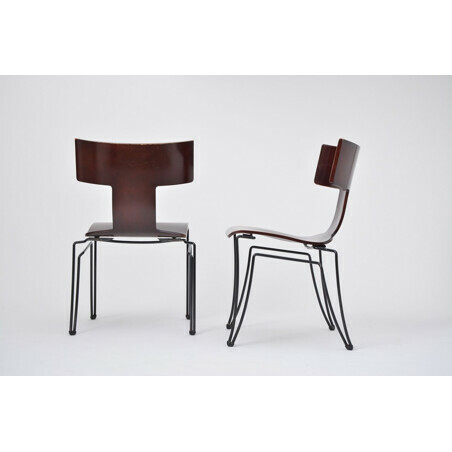 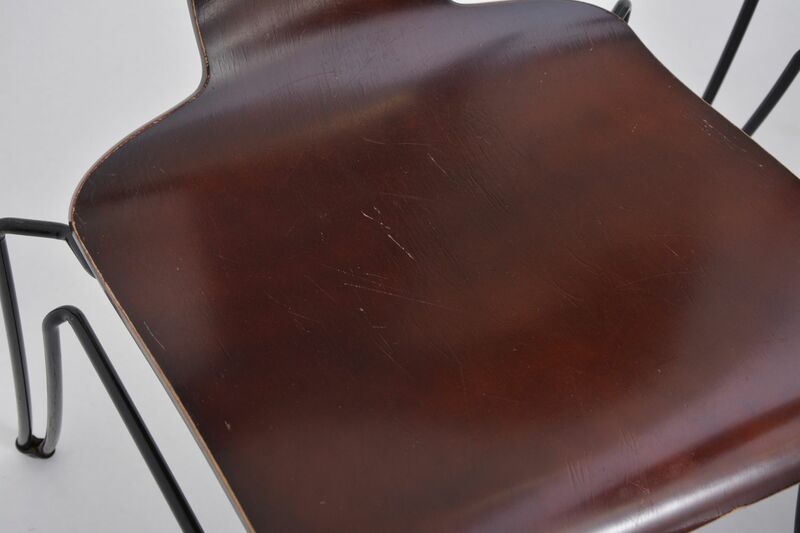 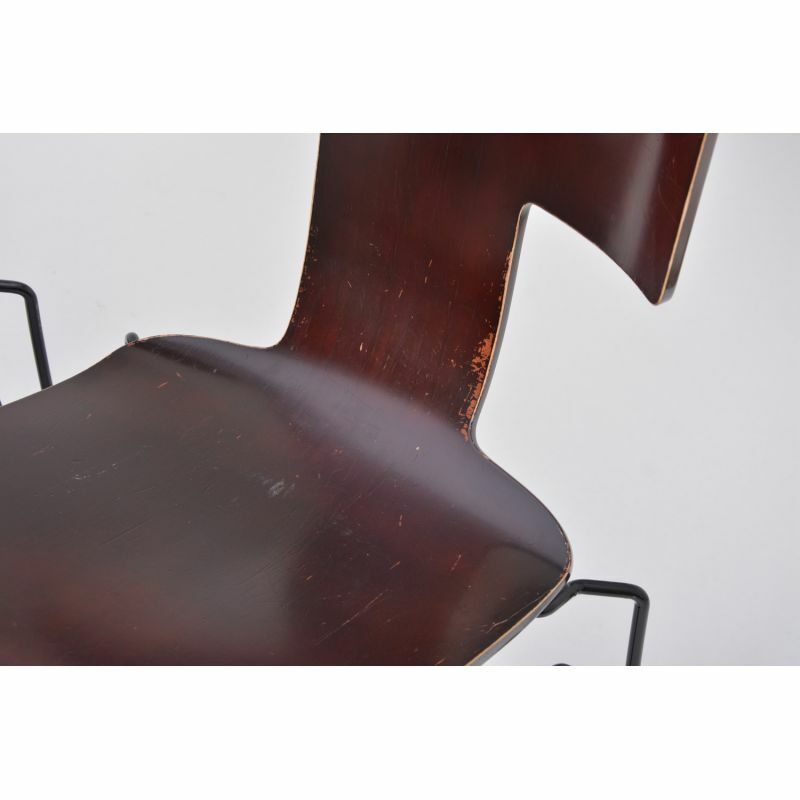 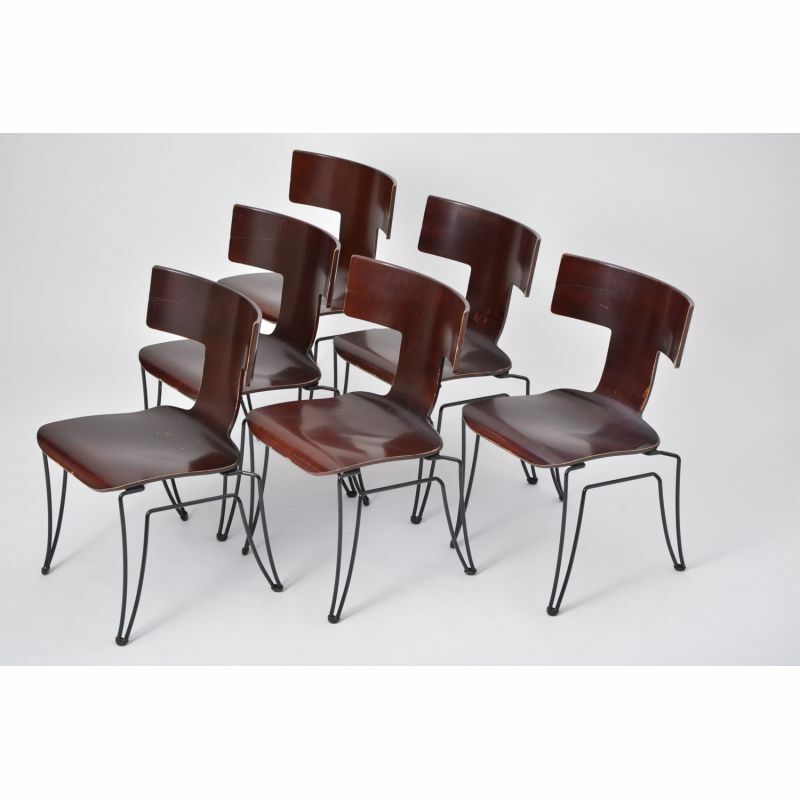 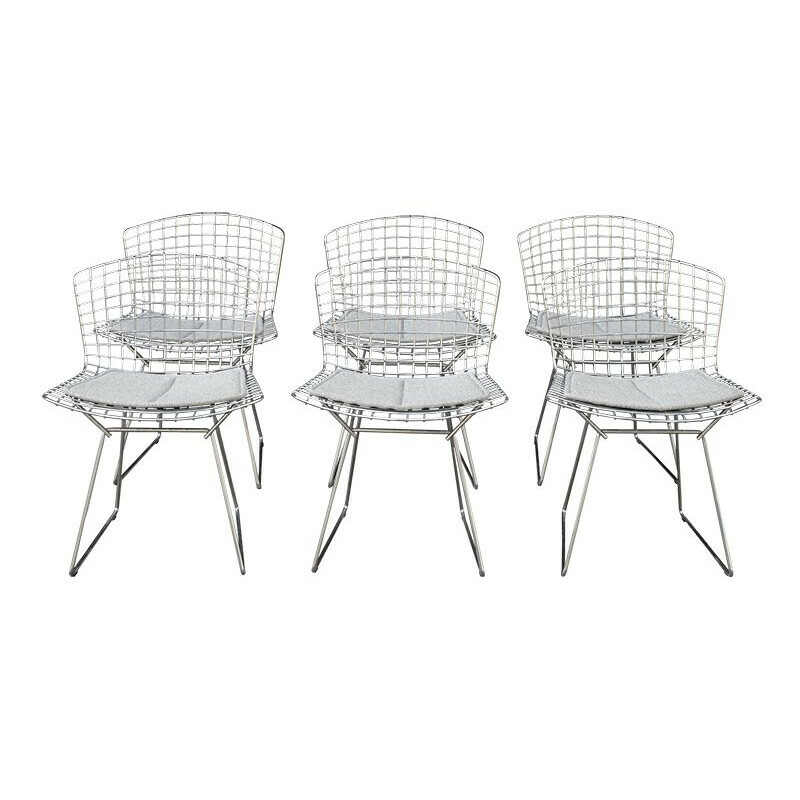 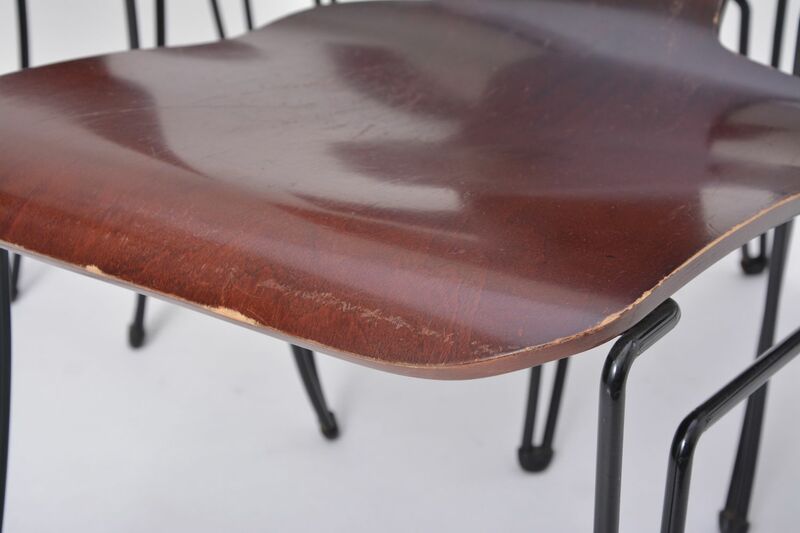 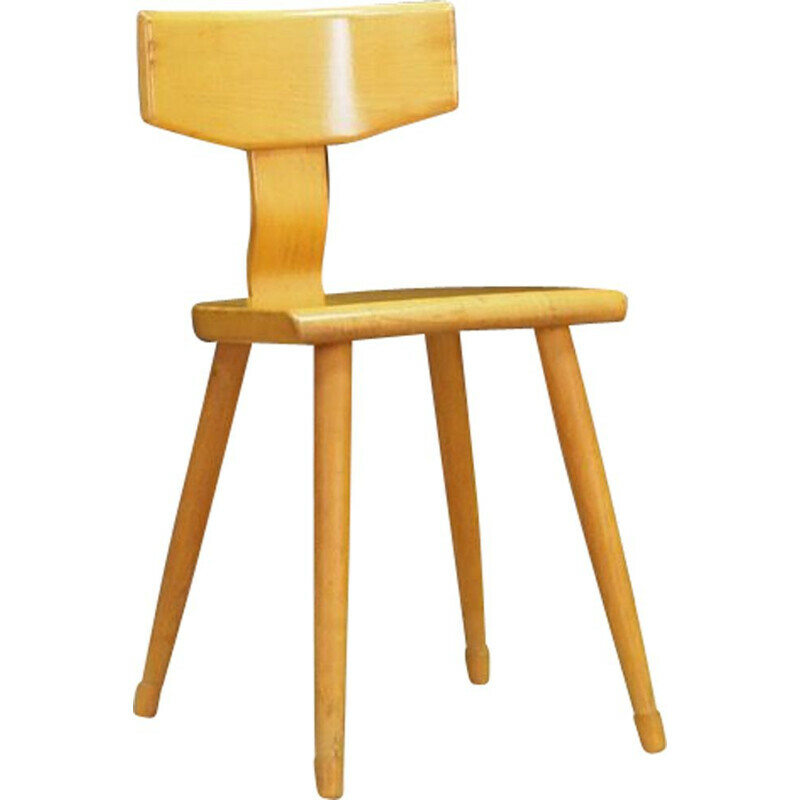 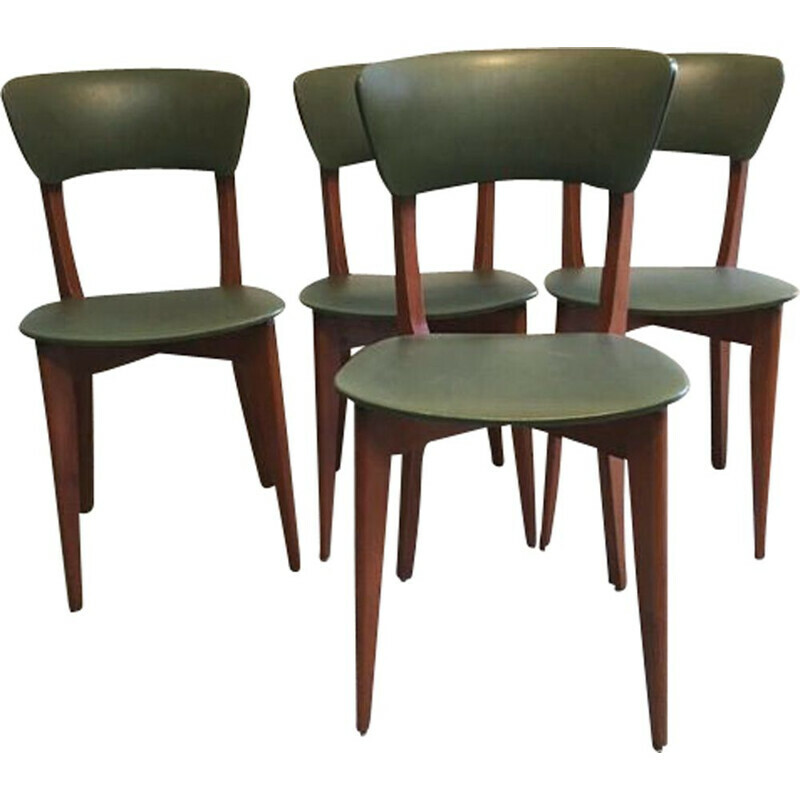 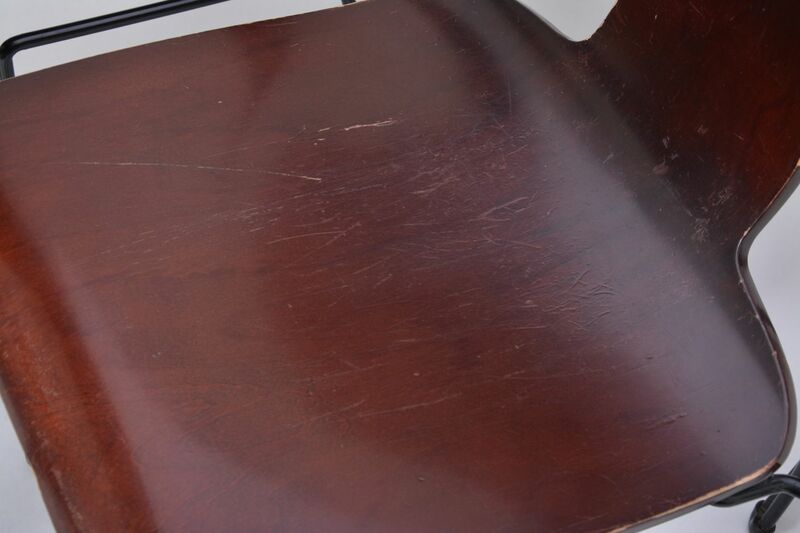 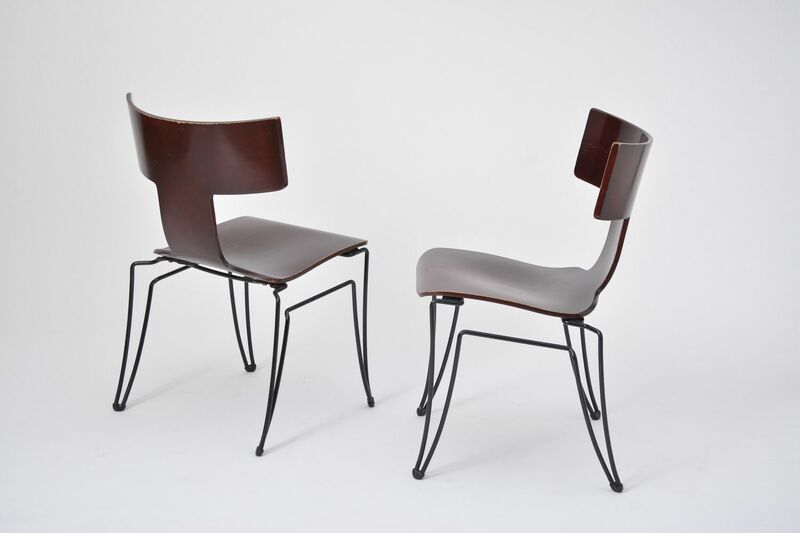 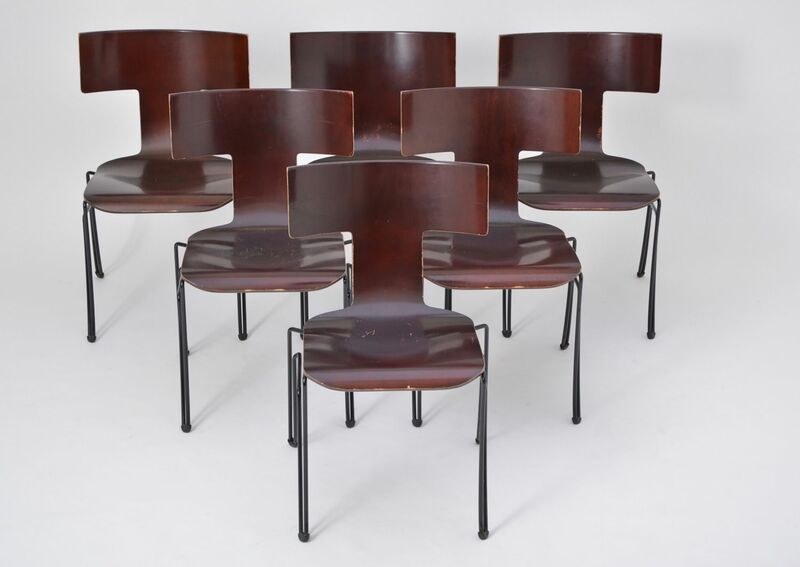 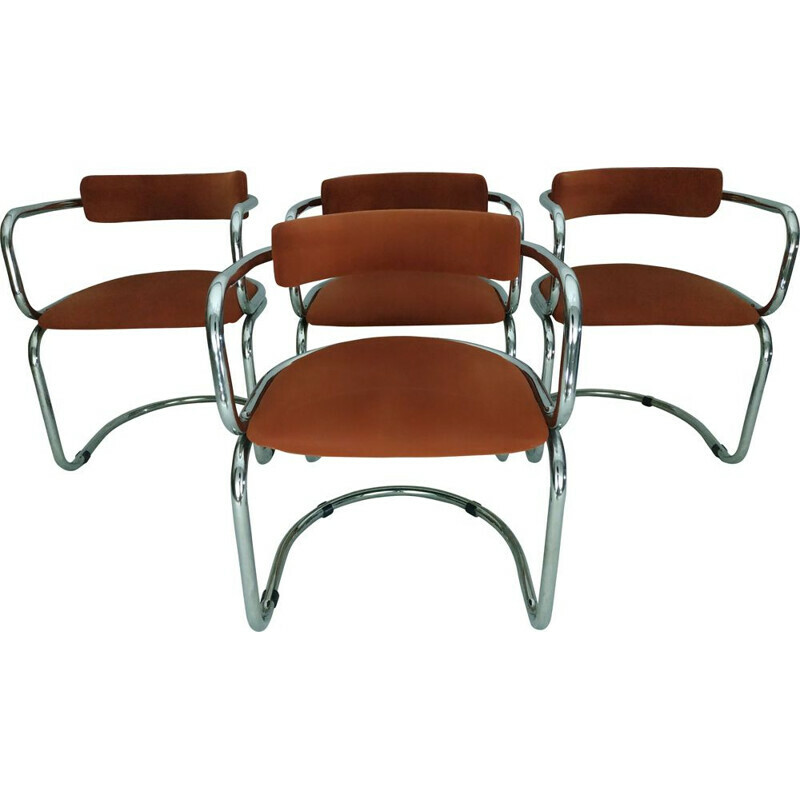 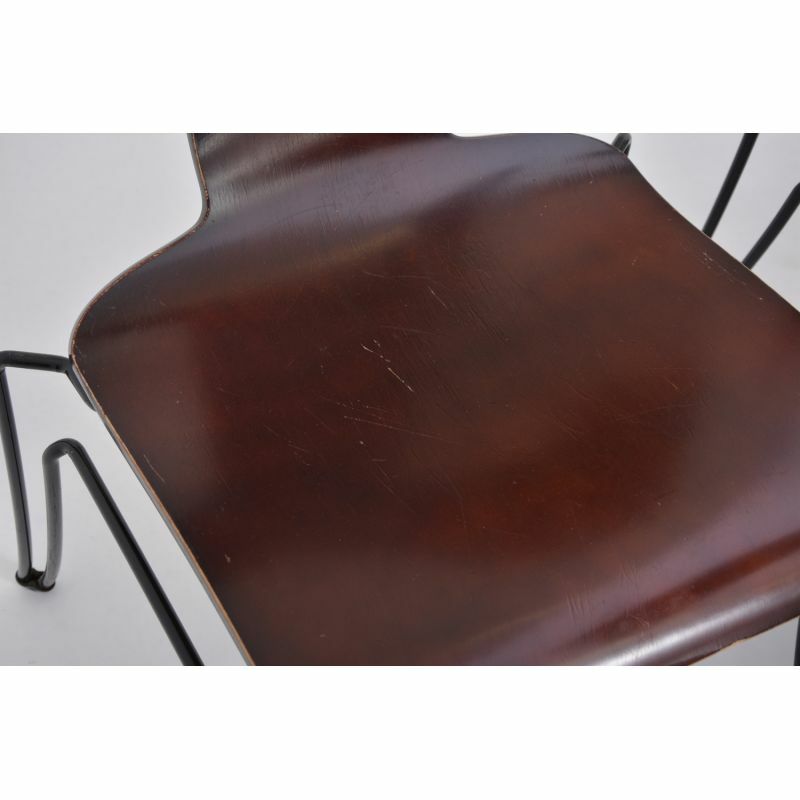 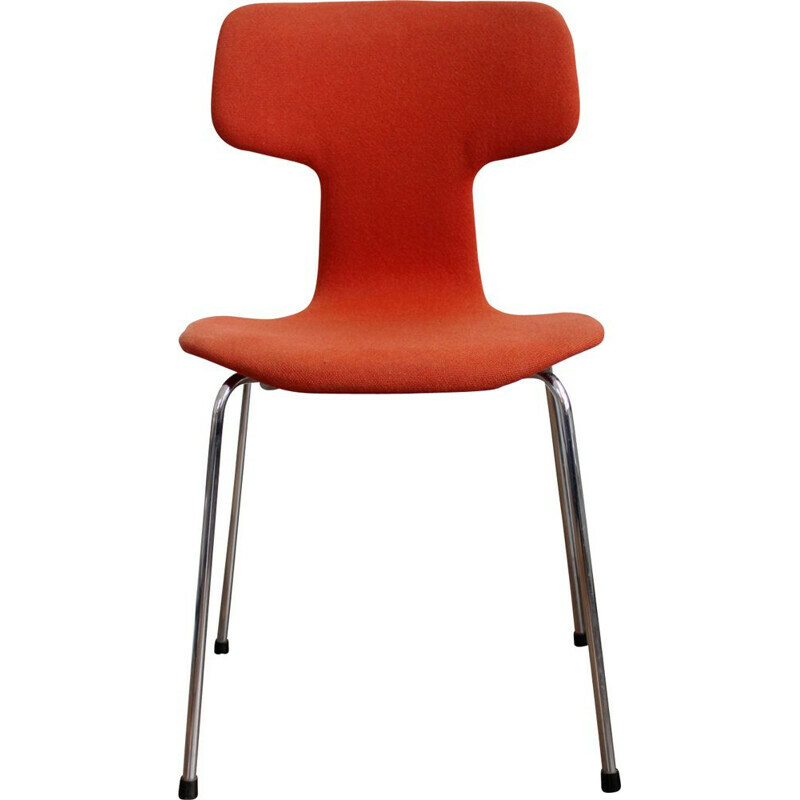 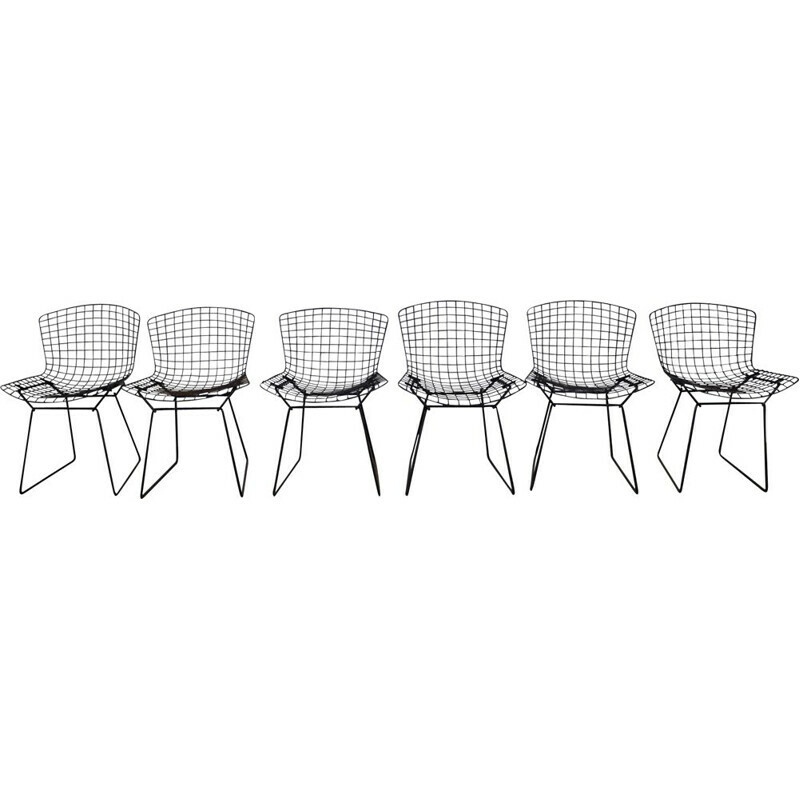 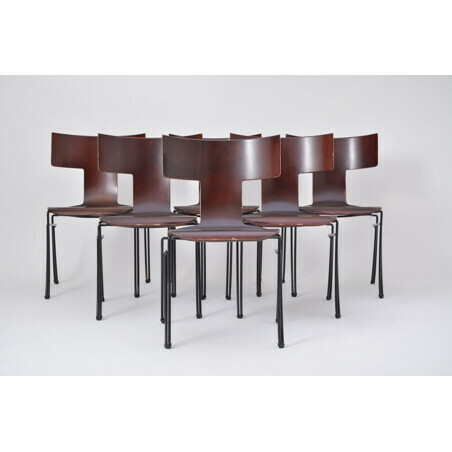 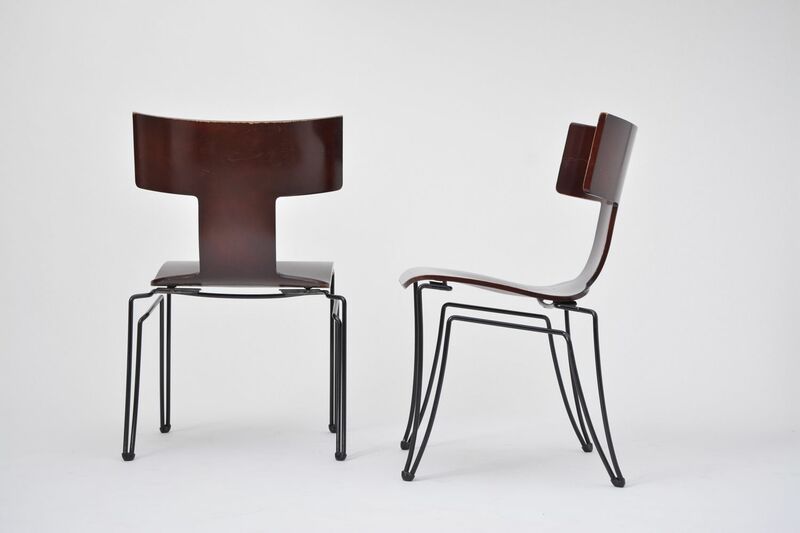 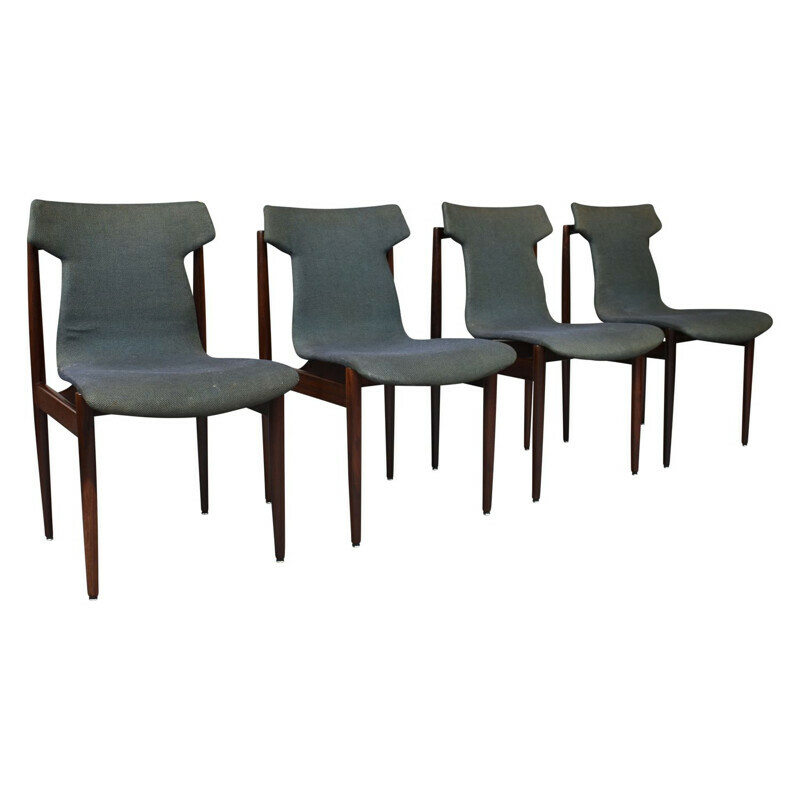 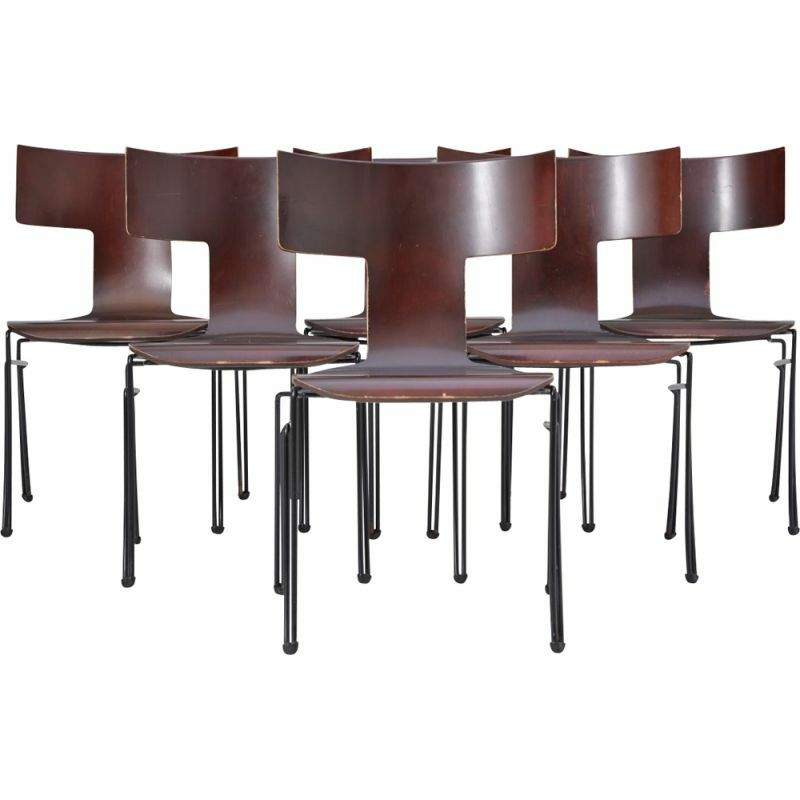 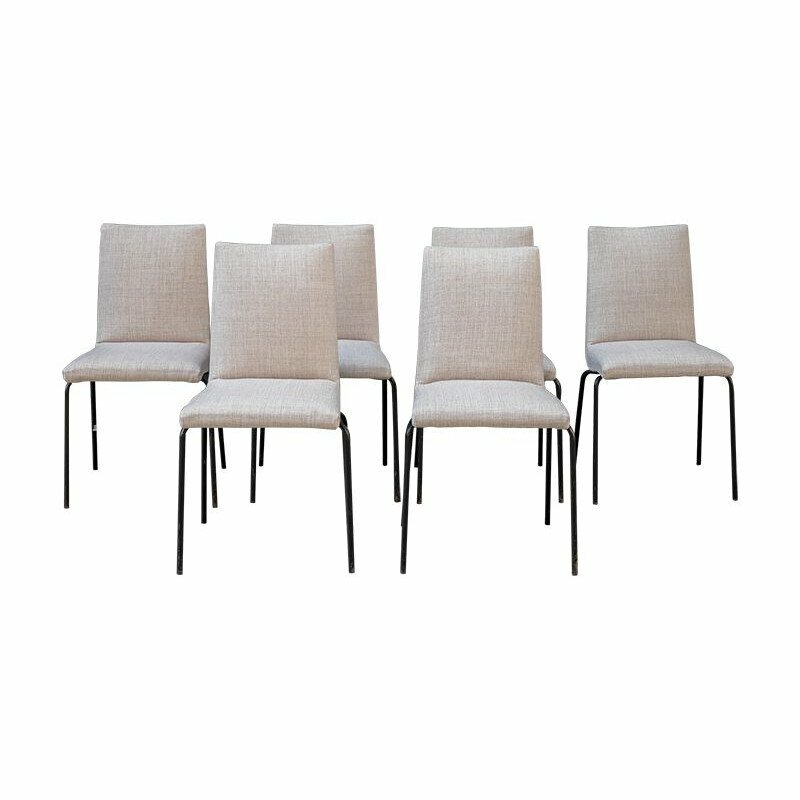 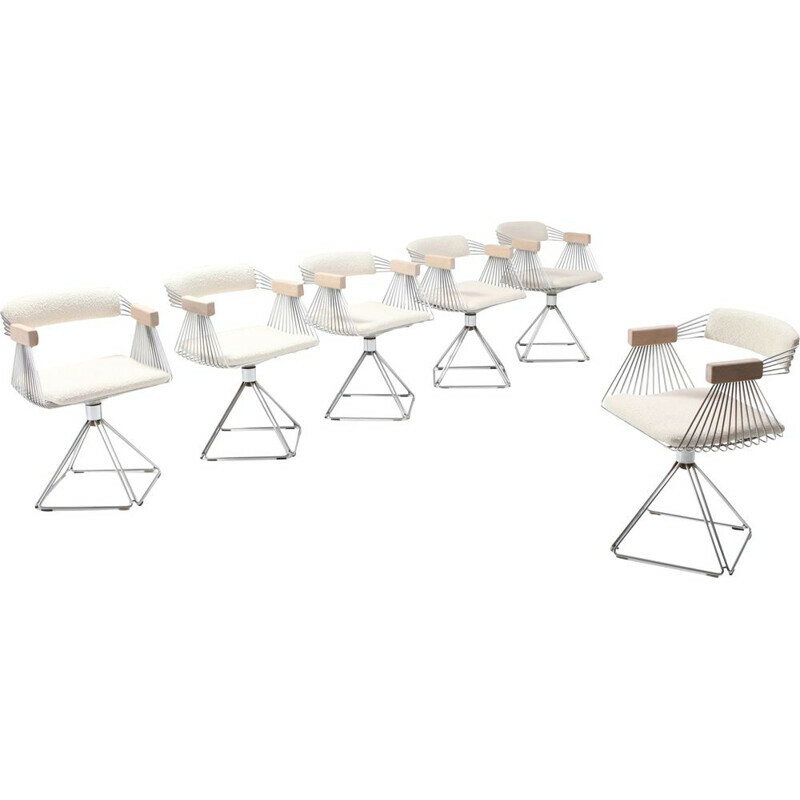 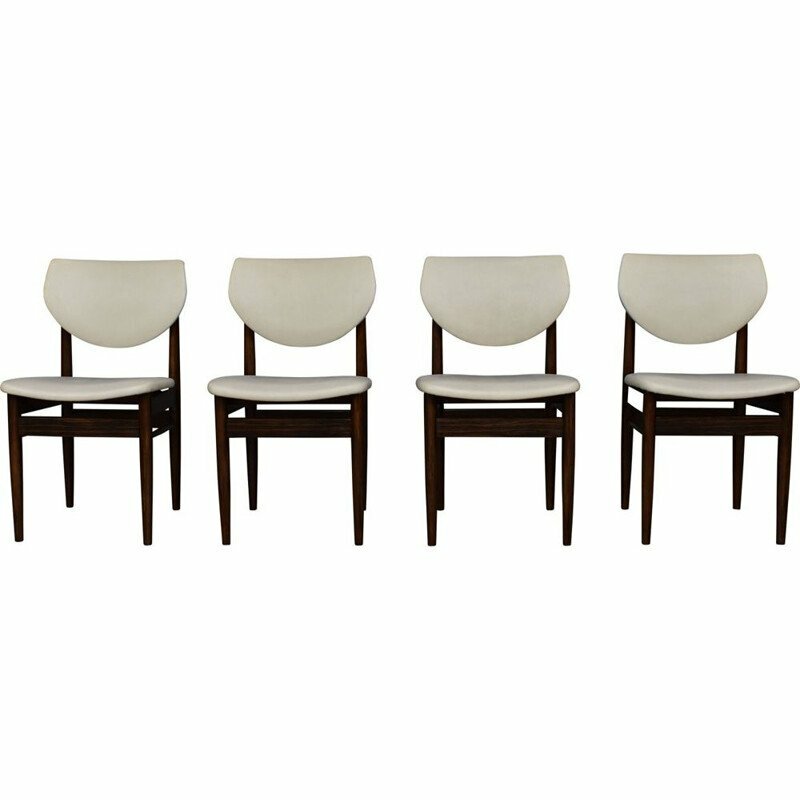 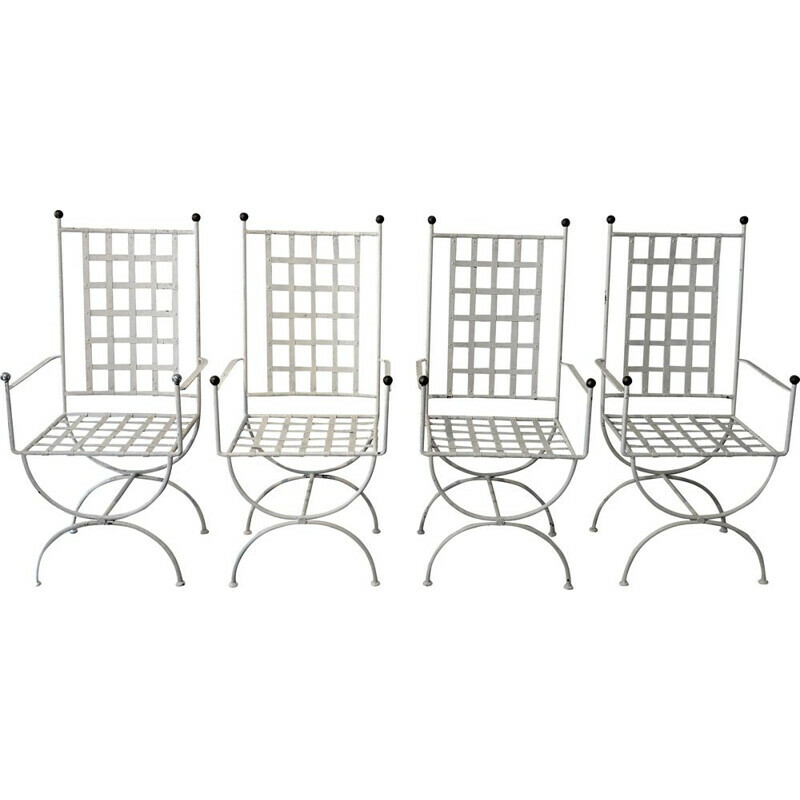 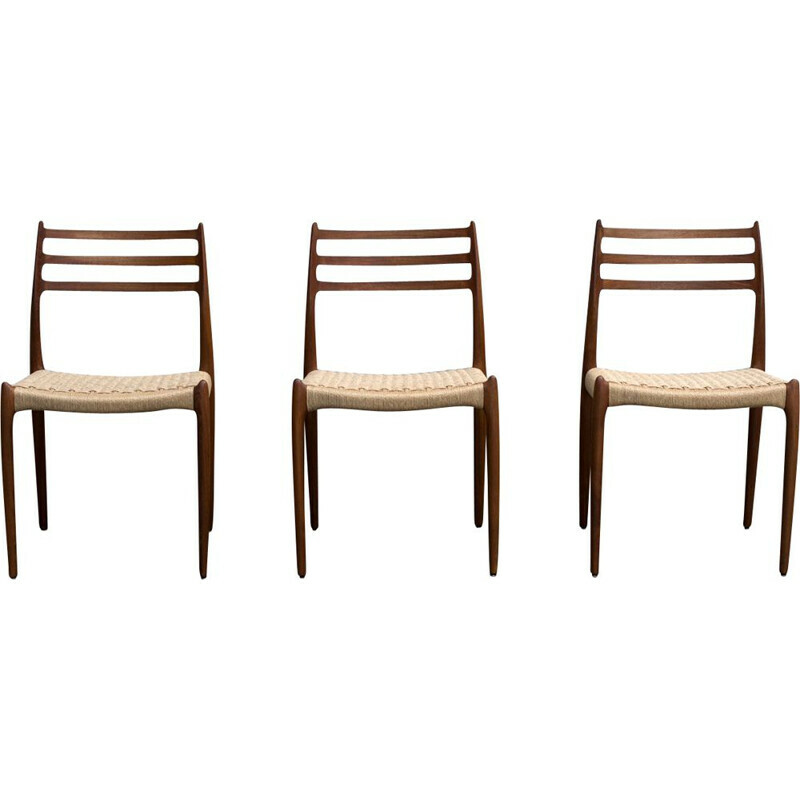 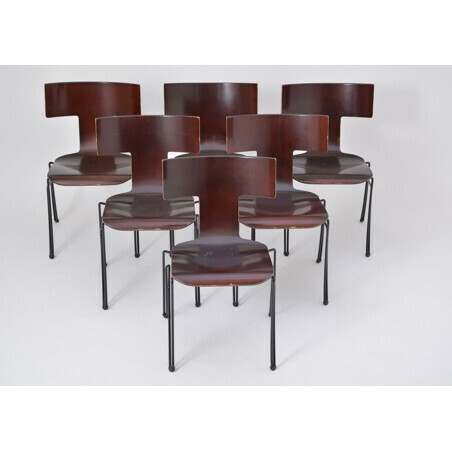 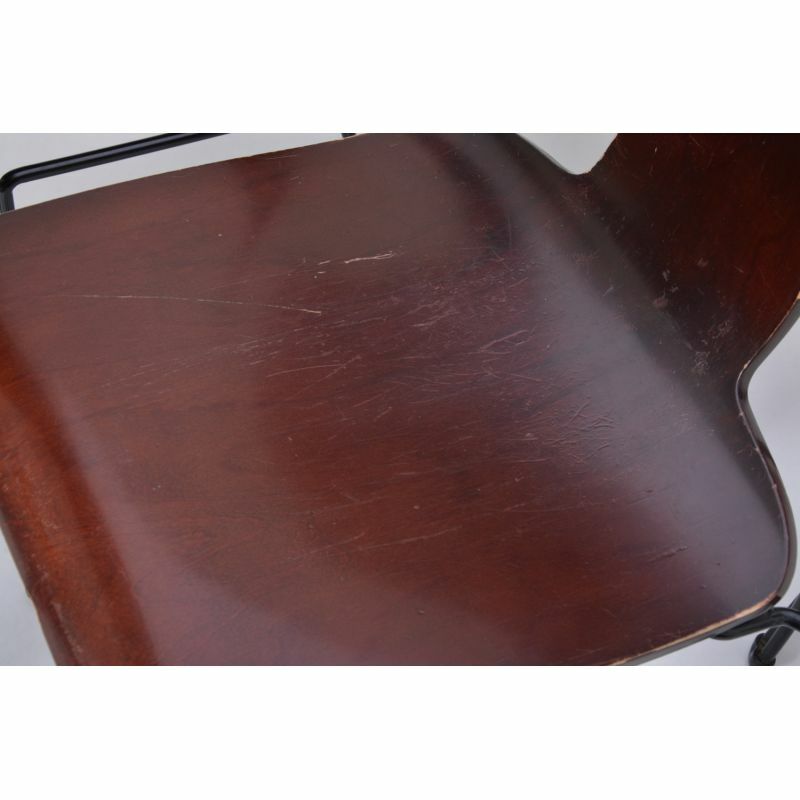 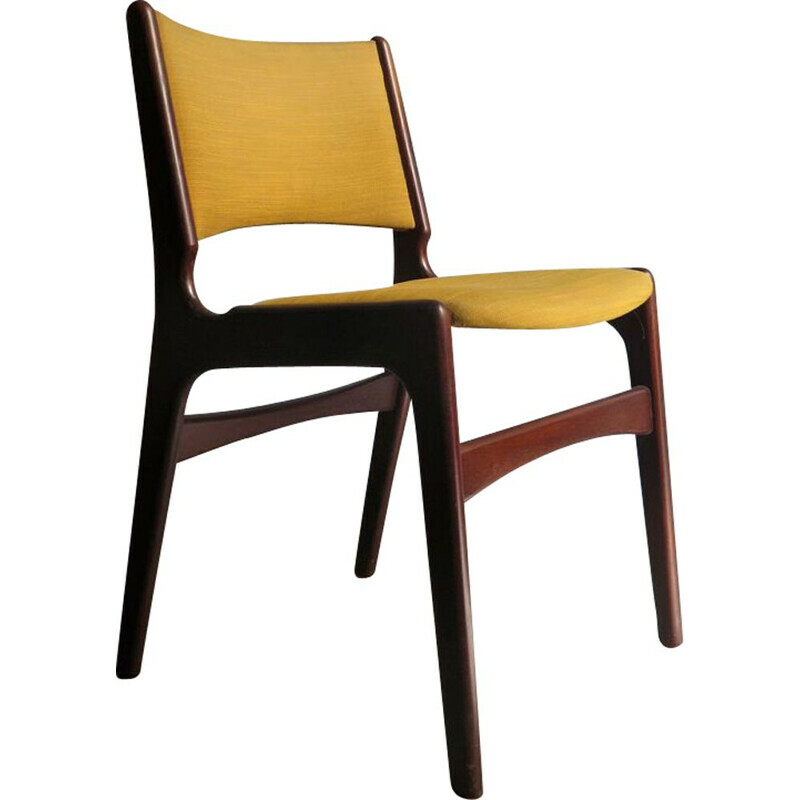 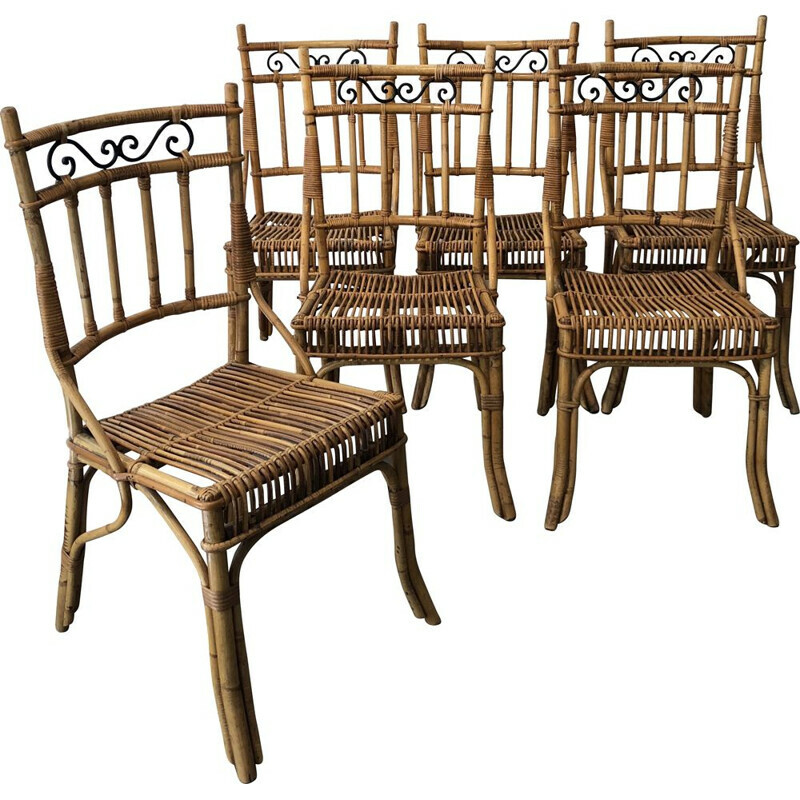 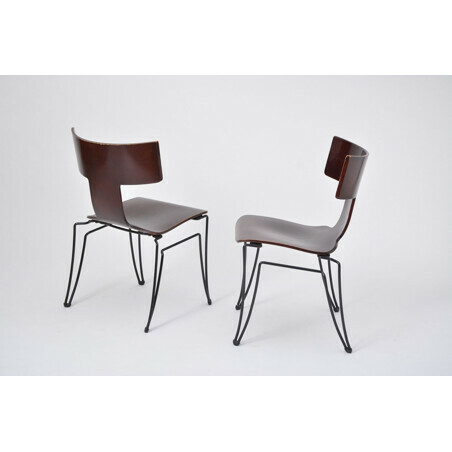 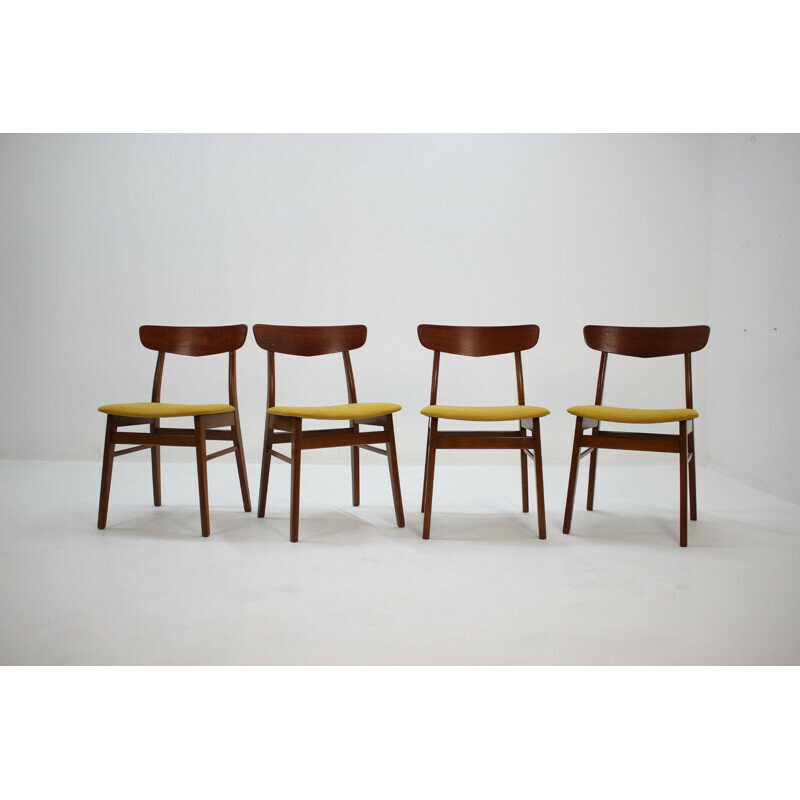 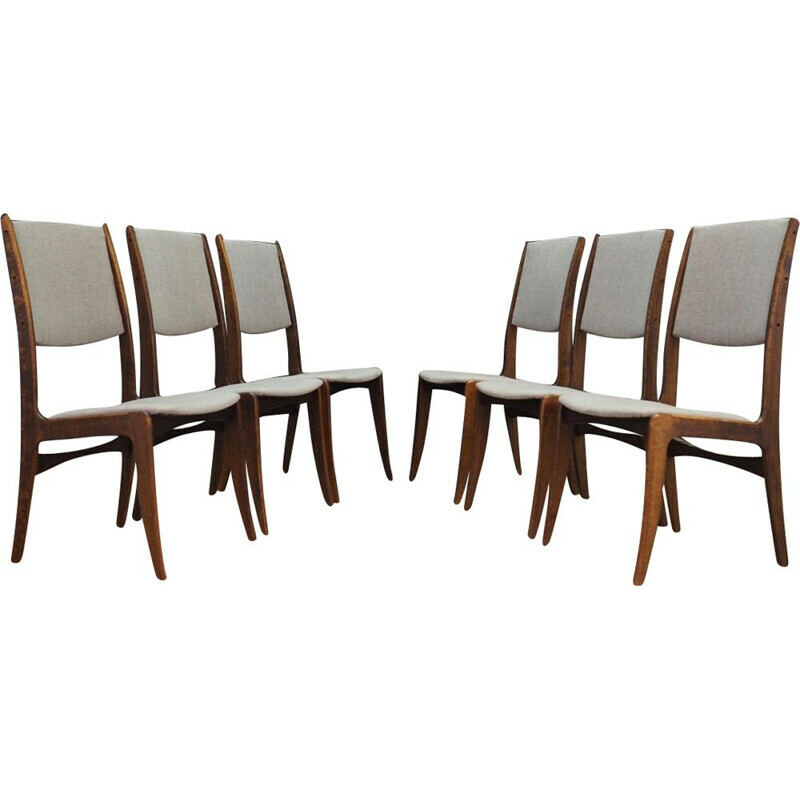 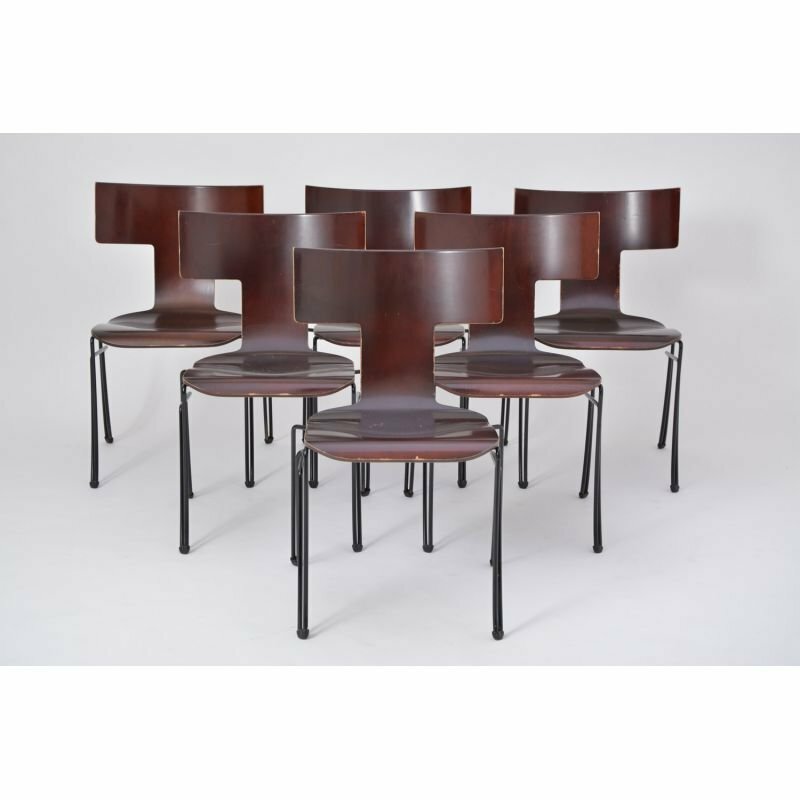 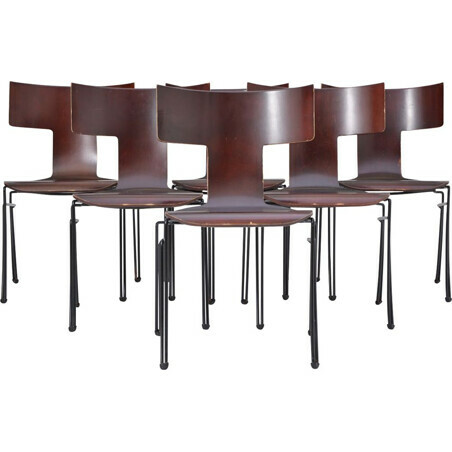 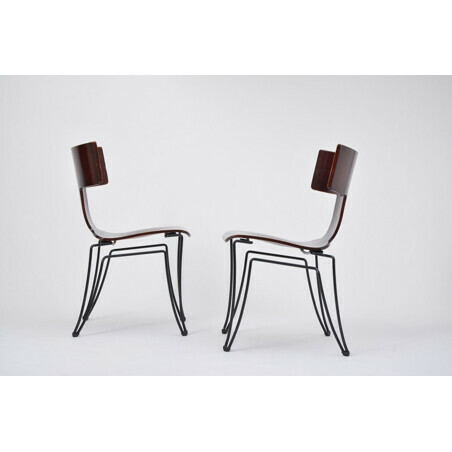 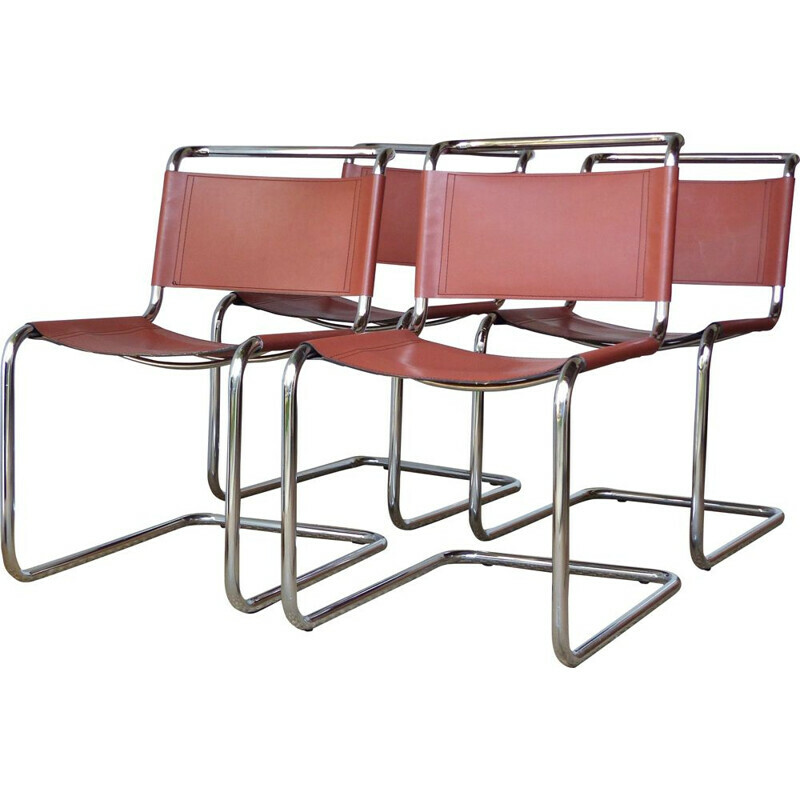 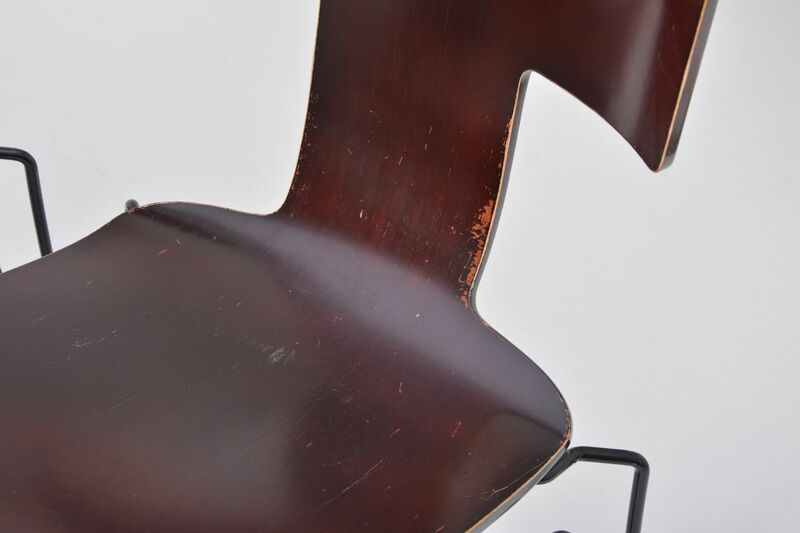 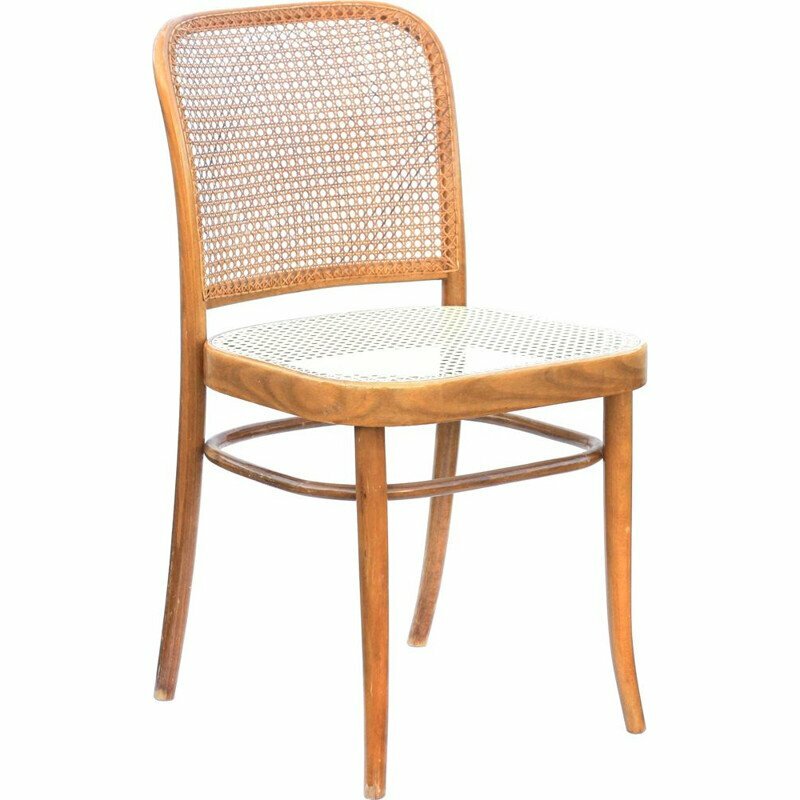 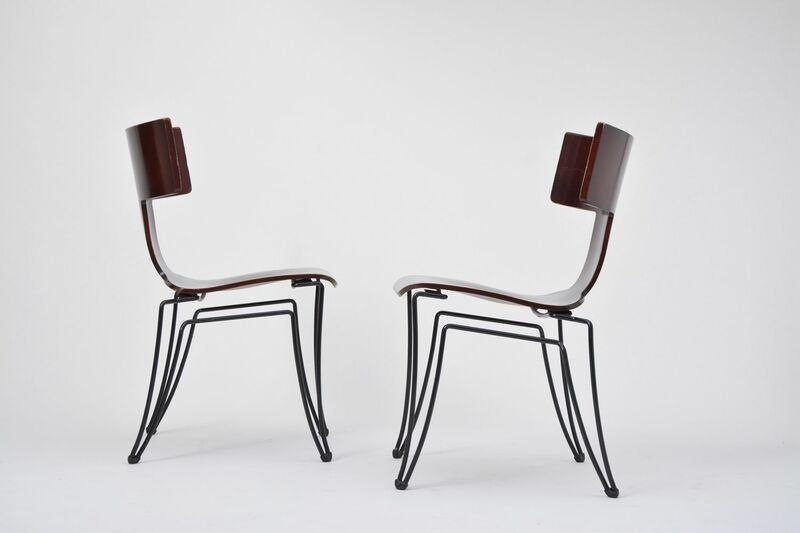 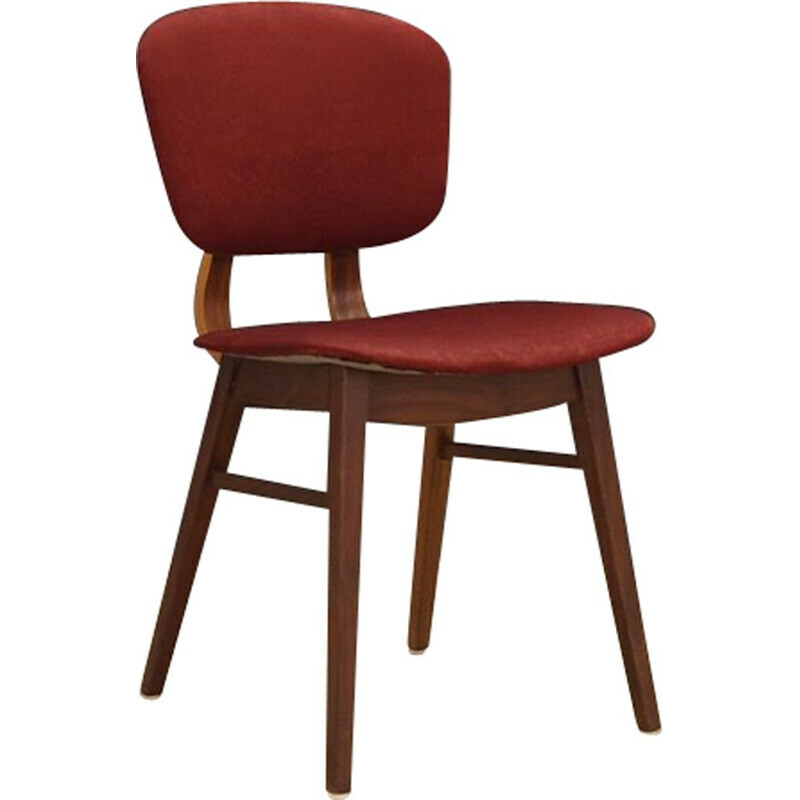 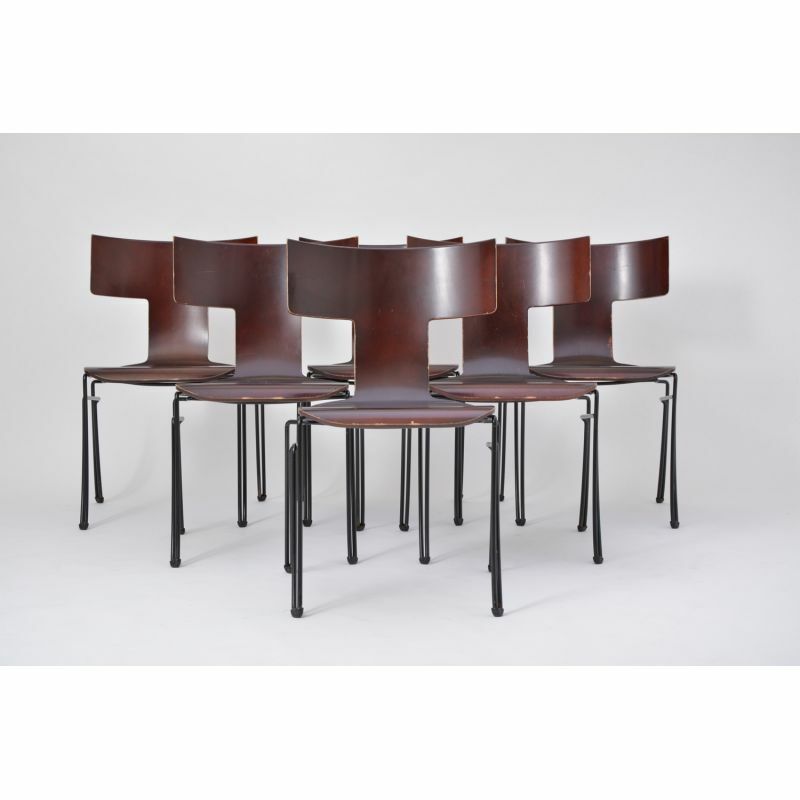 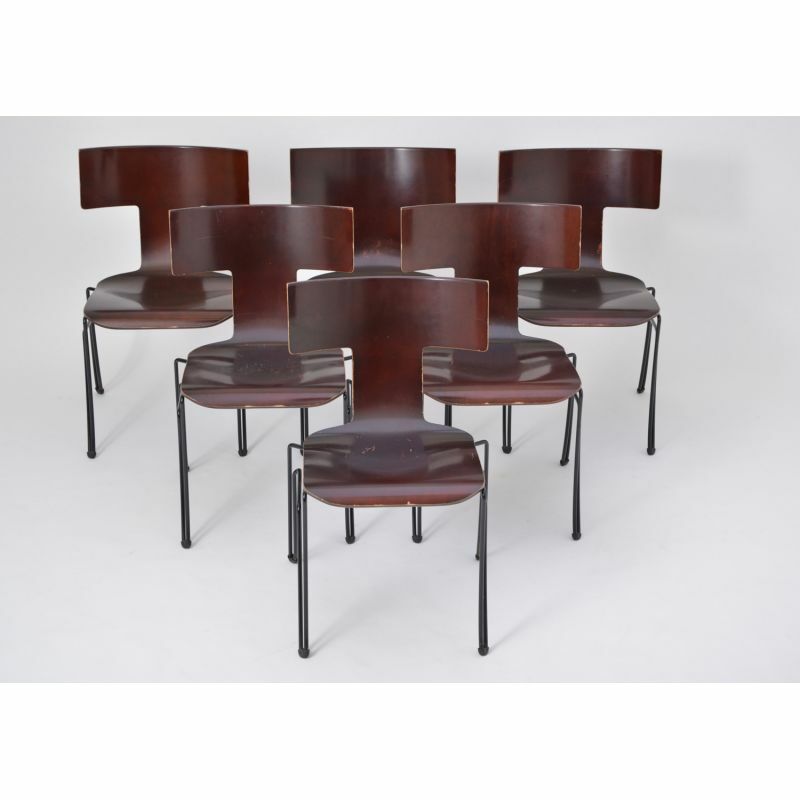 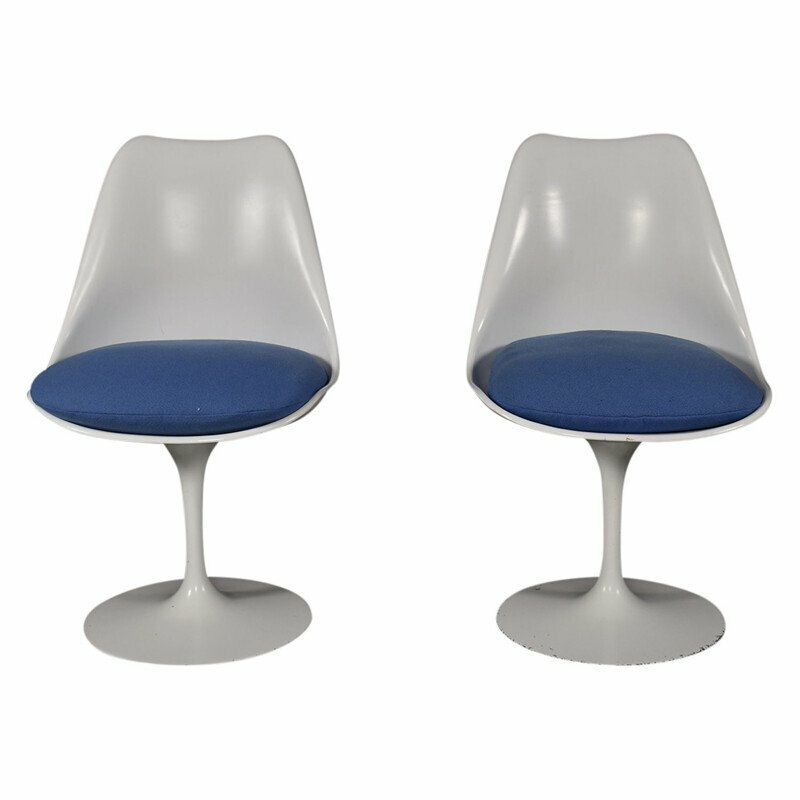 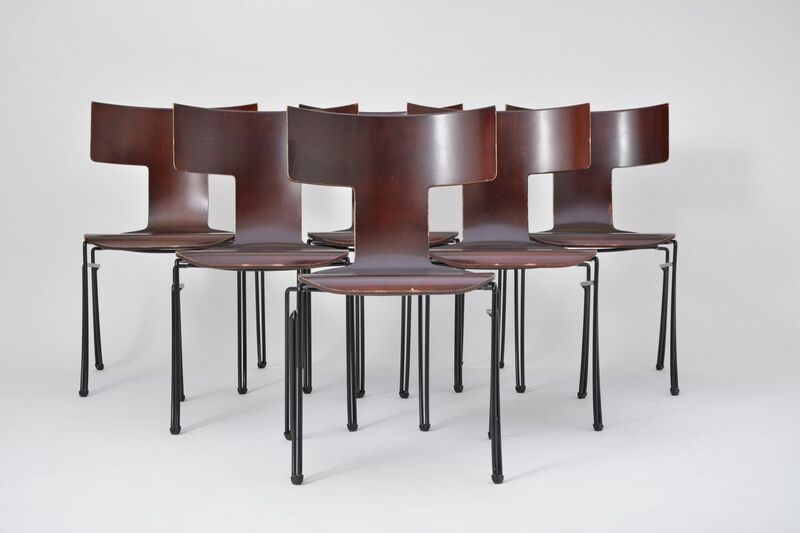 This set of 6 chairs was produced by Donghia in the 1980s. 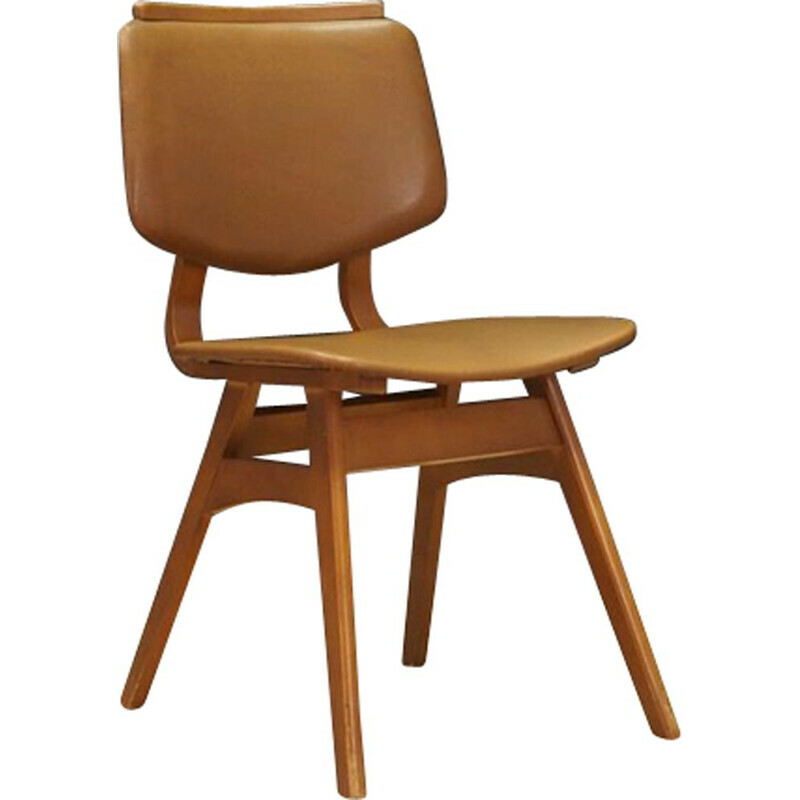 The model Anziano was designed by John Hutton. 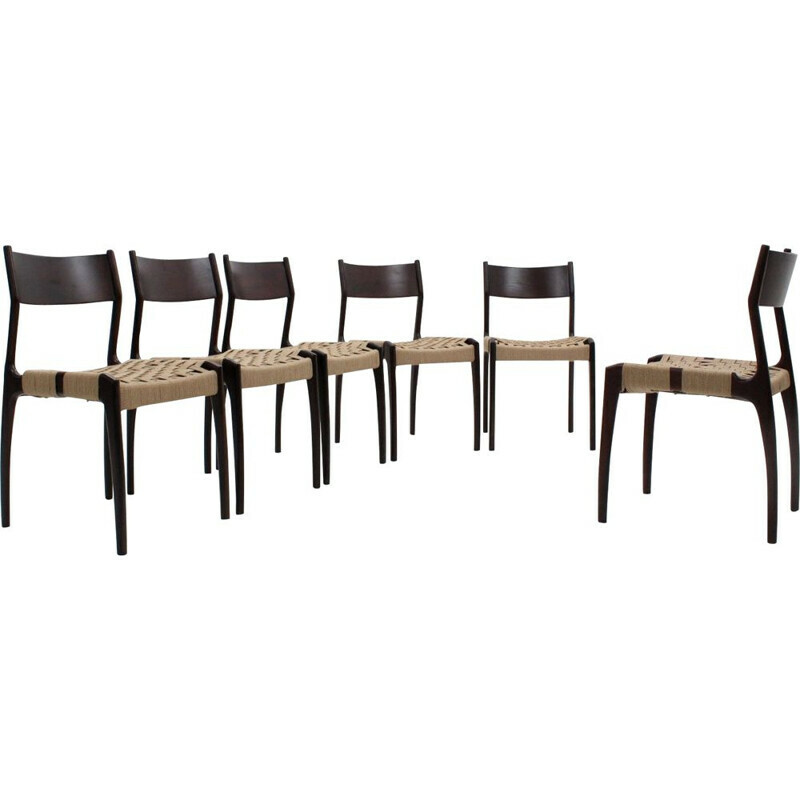 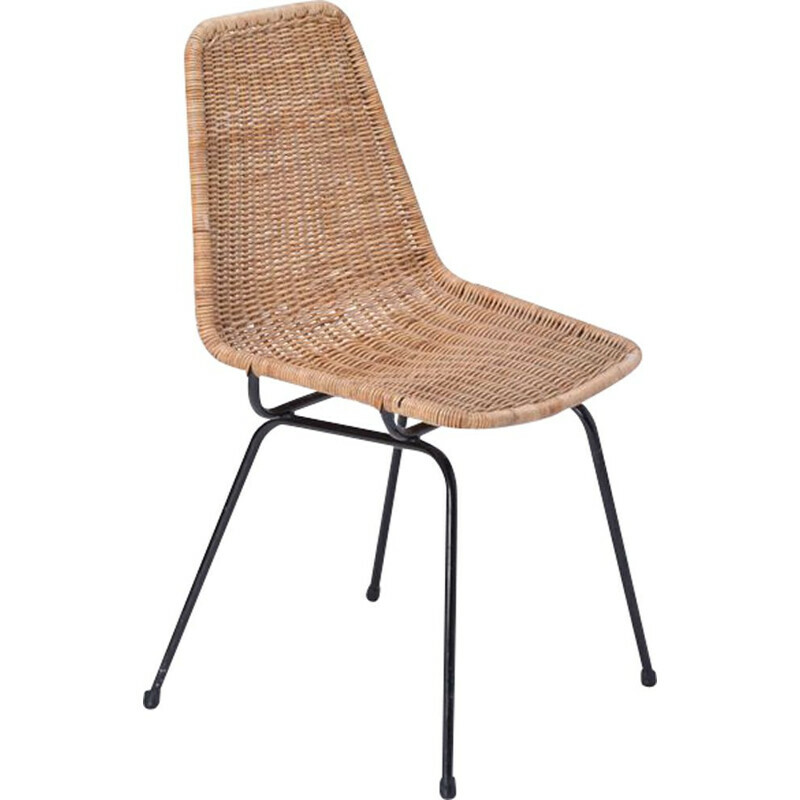 The structures are made of black coated steelwire, the seats are made of moulded beechwood veneer. 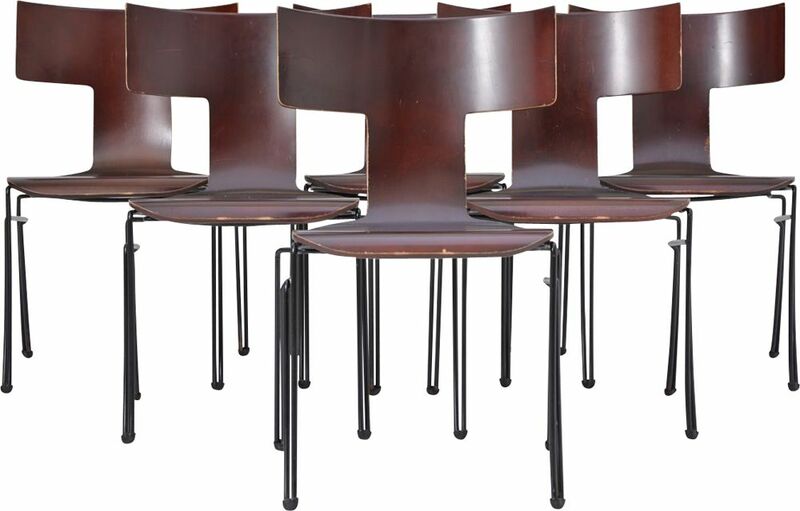 The chairs are stackable.